The ECC83 (12AX7) valve is used in the preamplifier section of 99% of all valve guitar amplifiers. Usually there are between 2 and 5 of these valves in the preamplifier section. They all do the same thing which is to amplify a smaller signal into a larger one. This cannot be done in a single valve and so designers cascade stages to achieve the gains they want. 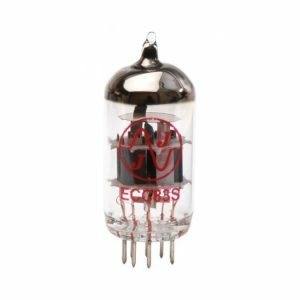 ECC83 v 12AX7: Why is this valve so popular. The reason this valve is used so much is because it’s actually two identical valves in one envelope! So designers can get two gain stages using just one valve. This reduces the ‘real estate’ needed to house the electronic hardware. In technical terms, the valve is a “dual high gain triode”. Pause for a moment and think how they pack all that into one 9-pin envelope! 6 pins immediately go to the anodes, cathodes and grids. But each valve also has a heater, so that would need another 4 pins. Hmm… 6+4=10 and we only have 9 pins! On the ECC83 (12AX7) valve they put the heaters in series and bring out the two ends and a centre tap. Neat – and only 9 pins. You can put 12V across both heaters, or 6V across the individual heaters and ground the centre tap. 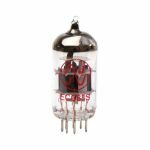 ECC83 versus 12AX7: What is the Valve Used For? In a guitar amplifier, this valve is used everywhere gain is needed. The valve can’t do any ‘heavy lifting’ so it’s not man enough for the output stages which drive the speaker. You need a big power valve or two (or four!) for that. In the stages of pre-amplification needed to raise the feeble guitar output to a sensible signal level, designers use the ECC83 (12AX7) valve commonly. There are other places you need gain in a guitar amplifier. Think of the reverb pan. A strong signal is sent down to the pan and it waggles a little electromagnet attached to the spring. So the spring waggles (like a ‘Slinky’). At the other end the spring waggles another small electromagnet and this is the reverb return signal. But it’s MUCH weaker than the one sent to the reverb pan. That’s a job for another stage of gain provided by one of these valves. It brings the level back to something sensible. In some older Fenders, designers choose an ECC83 (12AX7) valve to provide the vibrato function too. 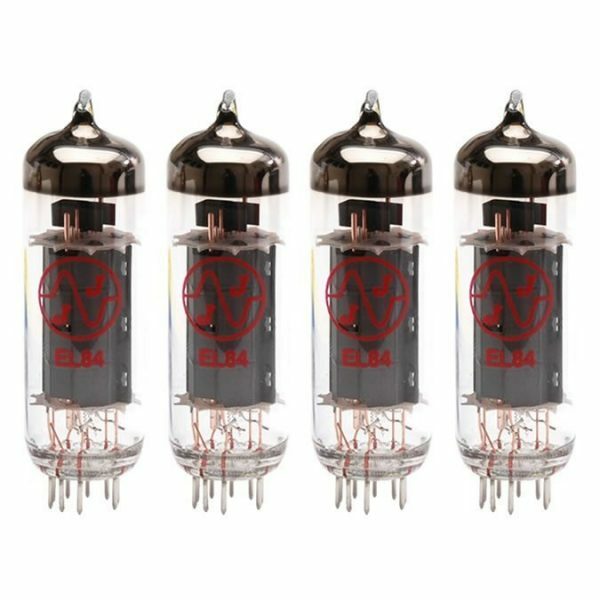 In a typical guitar amplifier you’ll have three ECC83 (12AX7) valves providing 6 stages of gain. ← What Are NOS Valves and Are They Worth Buying?